As I mentioned in my previous post, I am craving a splash of colour! So let’s begin with the happiest of the colours, YELLOW! Mustard, lemon, butter, egg or sunshine yellow, whichever you prefer, the fact is a burst of yellow will lift your spirits on any rainy day. I see yellow as the ‘neutral’ in the colour spectrum. Yellow is the bright colour to replace the rich leather colour of tan or gentle camel in your outfit. 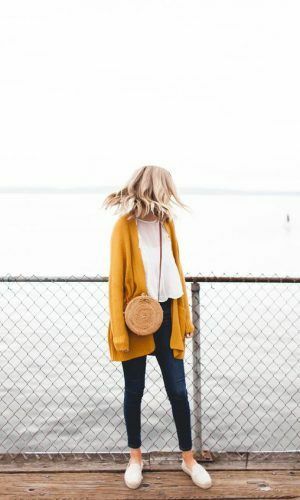 A simple denim on denim outfit has become instantly blog post worthy with a mustard yellow coat. Could it be any easier? Stripes and polka dots are having their moment in the sun….AGAIN. 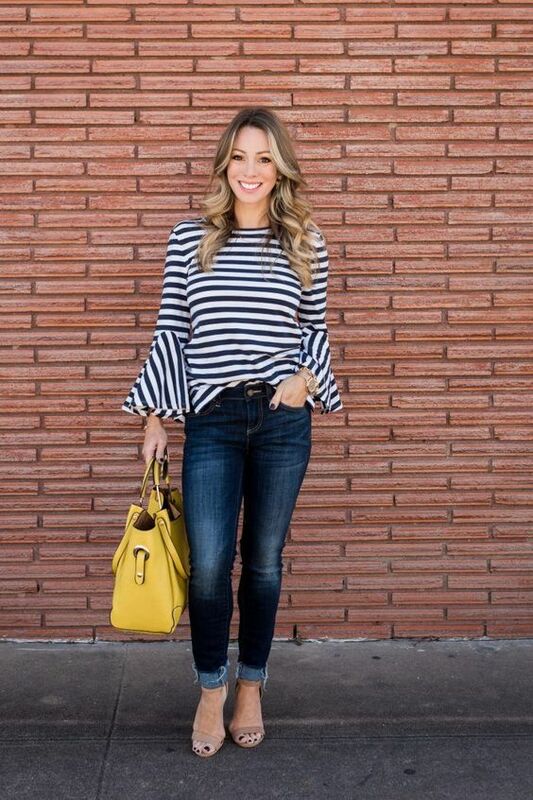 In navy or black, stripes or dots jump ahead with a pop of yellow. 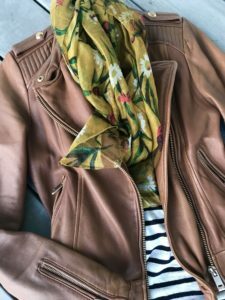 and this super mustard yellow botanical scarf (Desray). I wear this with skinny jeans, grey wide leg trousers or my casual, cool track pants and white Stan Smith Sneakers. 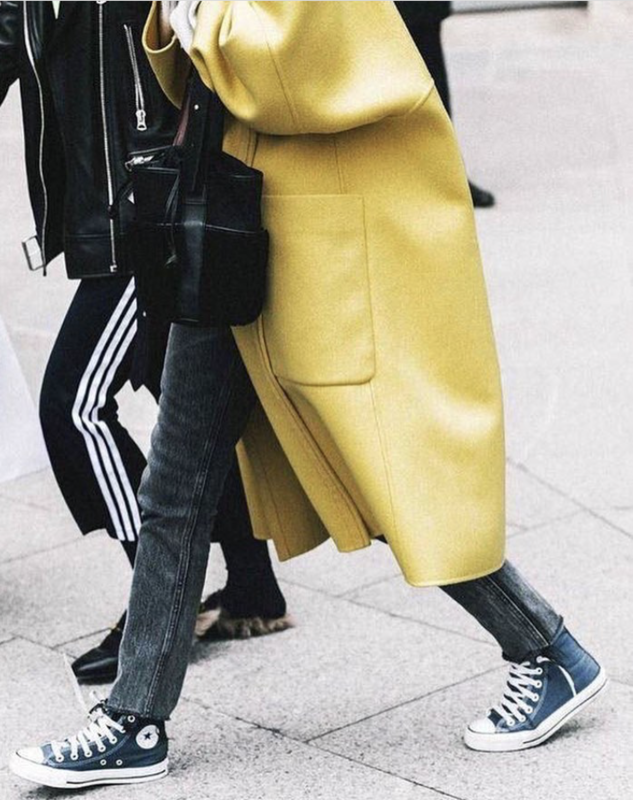 Simple grey denim with Converse sneakers has an instant style boost with this sleek yellow coat. 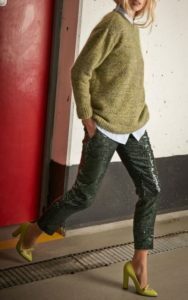 Olive green and yellow make a fabulous colour combination! Love this! An unexpected collaboration with sparkling trousers, white blouse, yellow melange knit and bright yellow chunky heels, it gets my vote any day! 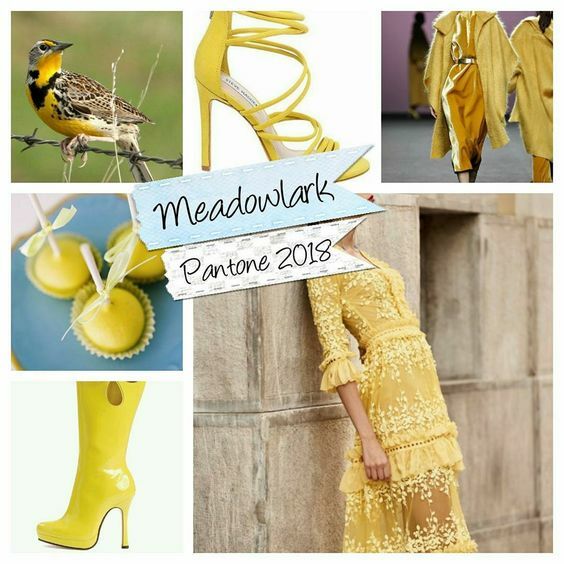 With Meadow Lark as the Pantone bright colour of the year you can be sure that it is going to be a wonderful addition to your style for the season and quite frankly a staple shade in your personal style colour palette. 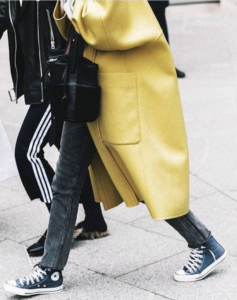 So take a fresh step and bring on the sunshine with a bold splash of yellow! Previous Article← My monochrome…time to break out!